I have been working with my friend on concept art for an idea that I’ve had for a bit. We are experimenting with how a dream or just the inside of someone’s head would look like in VR. How would that world look? Honestly, the world of a dream only seems old when we wake up, so we want to take some creative freedoms with the mind space. We are trying this concept of how a dream world feel if it was sketch drawn and here are some of the concepts we came up with. Our next step is to see if changing the texture in the Unity will create this effect for us. I wanted to give a couple quick tips on showcasing your games at Expos. 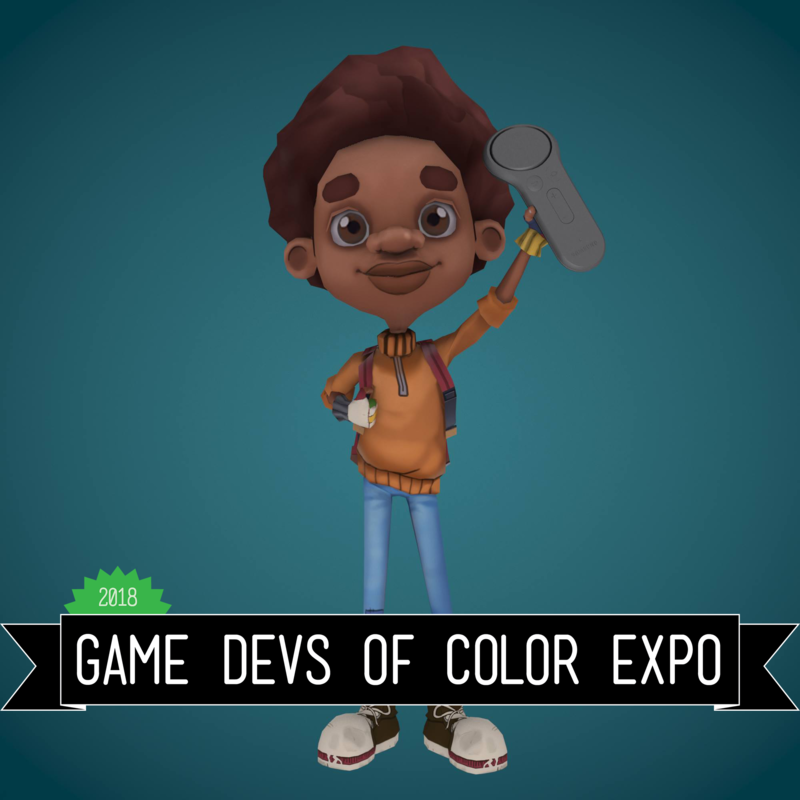 I recently showcased a project called Museum Multiverse at Game Developers of Color, and I wanted to talk about the lessons I learned in my journey showcasing. What I mean by Focus on the Frontend is to make the first impressions of your game really strong. At a particular expo, there could be over a hundred games for players to get lost in. Focus on Frontend by having a unique touch to your booth and don’t stop there make sure your title screen in your game is the best it can be as well! There so many demos at an expo, you would not want a player feeling trapped in your 20-minute experience. Keep your demo short and sweet. Use business cards (about your game) to promote the game you are showcasing, have newsletters about your project but the most significant thing you’d want to focus on in connecting with your audience is having ways to connect and follow on social media readily available. In my time at the expo from utilizing these tips, I had my VR headsets running non-stop with players wanting to jump into the VR experience, people like Paul from Kotaku asking the game for a video on the expo, and warm moments like a mother and daughter who played the experience three times over because they loved it so much.